The quickest and easiest way is to install it from the nodejs.org web site. Once installed from the command line you can write node or npm to ensure everything is fine. Uses the java script language where you can write loosely typed event based asynchronous code. Loosely typed: means the variable types can be determined at runtime not compilation time as in Java which gives power but could lead to potential errors as you already lost the compiler error scanning. Event-based: means you need to fire action and wait for the response/output in a function that process this output so instead of waiting the DB operation to finish fire the query and wait the response in a function, this unlike the thread based languages such as Java where you need to wait for the response , the gain is nullifying the context switching and simplify the code, which gives higher performance in throughput of the application. So every function that requests IO has a signature like function (... parameters ..., callback) and needs to be given a callback that will be invoked when the requested operation is completed i.e. Continuation-passing style. Note that Node is not suitable for high computation operations and it needs good design to process such operations without impacting the application. var http = require('http'); ==> This means the http variable will be used to access the exposed functions in the http module. One of the big issues in JavaSciprt is the global variables, using the modules and exports you can control what you need to expose and any global variable is now considered local to that module and won't interfere with any similar name variable in your application. npm install -g express ==> this will install express a web application framework based on the open source connect project. if you omit -g you will install the packages locally for your application. 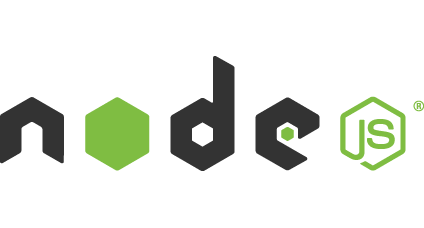 The modules are loaded into the node_modules folder either in your application or globally. Open the browser on the port 8082 using localhost:8082 you can see hello world message is printed out. In our application we have exported start(); function() and from the node interpreter we have loaded our application module and executed this exposed start() function. Our application uses the http module to run the http server. NOTE: to create the file you can execute npm init to create this package.json file. It simply shows the application name, version, start script and any dependencies should be added to that section. npm start ==> which will search for that file and run the start command. also npm install ==> will install all the required modules in the dependencies section in the local application directory. Finally npm list shows the installed modules for this application. cd mytestapp ==> you can see the main application app.js and package.json where you need to add any future dependencies. npm install ==> to install all required modules locally. If we opened this file /bin/www , we can see that it uses the app.js, do the port configurations and the initialization of http server, which means if environment variable PORT is set, use it otherwise use the port 3000. We can add our views/pages here. You can use both options to build your view files. This folder for storing the images, stylesheets and client side java script files. 4) Router to router the requests. one is index.js for the / path which is placed in the routes folder and another one is users.js for the path /users and is placed as well in routes folder. In part II, we will continue the application exploration by adding different pages and using parameters, forms, sessions and access the database to retrieve data.